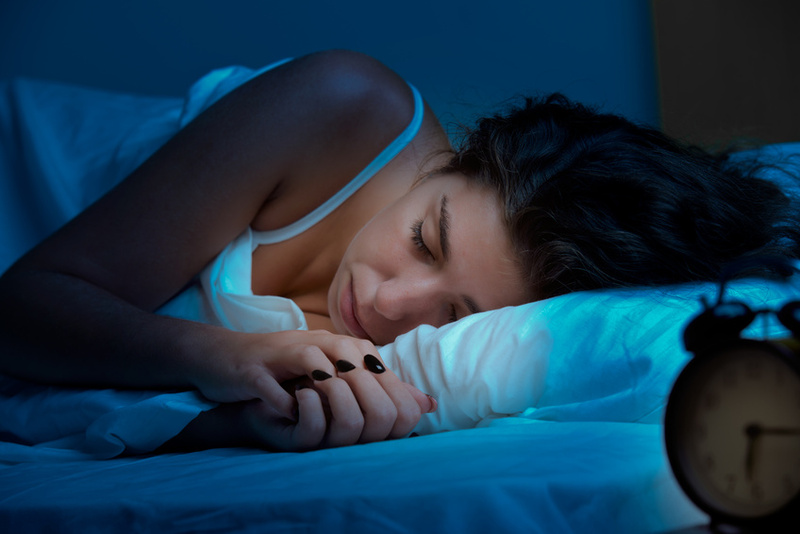 Are you jealous of people who drift off to sleep as soon as their head hits the pillow? 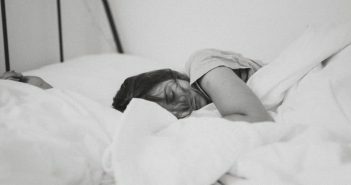 Good sleep is one of the essential elements of our physical and mental wellbeing so it is about time that you, too, learned some tricks that can help you find your way to the land of nod in double quick time. Try to practice one or more of the following techniques to fall asleep fast and give you that deep and restful sleep you so desire. Once in bed, lie on your back and close your eyes. Starting with your toes and working up your body, isolate each area and try to fully relax every possible muscle. You will be surprised at just how much tension you hold in your muscles even when you are flat on your back and you think you are entirely relaxed. Much of your body is completely relaxed during the night so getting into this state can hasten the onset of sleep. Pay special attention to tension in your neck, shoulders and facial muscles. Have you ever tried to stay awake even when your mind is telling you to close your eyes and go to sleep? If so, you’ll understand how this can help you to drift off when you are finding it otherwise difficult. Get into bed, turn off the lights, but rather than closing your eyes, try to keep them open. If your room is suitably dark (which is should be if you want a good night’s sleep), you won’t be able to see much and this is part of the process in action. 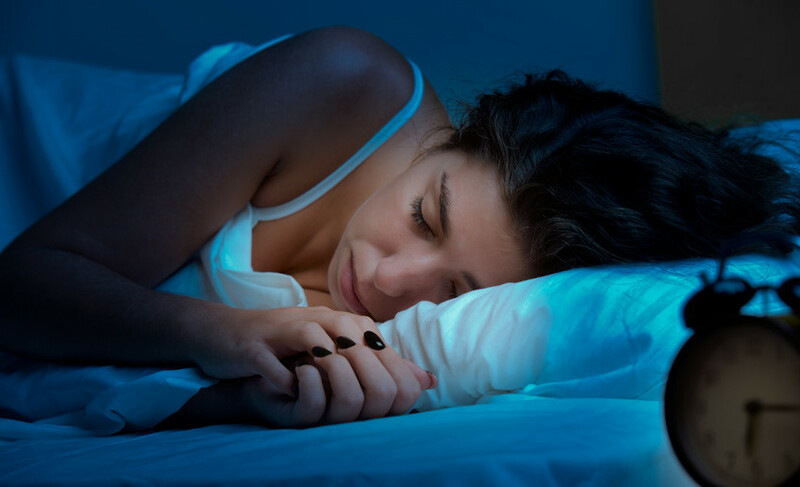 Our thoughts are often a cause of our insomnia, but it can be harder to visualize the roots of stress and anxiety when our eyes are open versus when they are closed. Thus, staring out into the darkness of your bedroom makes it much easier for your mind to switch off. Fight the urge to let your eyelids fall as this effort will also help to block out any unwanted thoughts; try to keep this up as long as you can. Eventually, though, you’ll lose the battle and find yourself quietly sinking into sleep. 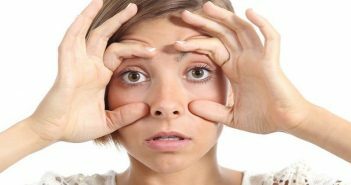 If keeping your eyes open isn’t preventing the thoughts from racing through your mind, you could try this technique instead. This time close your eyes, but try to imagine the color white is filling your entire field of vision. Every time another thought tries to enter your mind, acknowledge it, but return straight away to the whiteness that is filling your every sense. Some people might find black or some other color more helpful, but whatever you choose, make it your only thought. Sooner or later you’ll find that random thoughts break through your wall of color, but these should be the initial stages of a dream which signal that you’re falling asleep. It may sound counterintuitive, but allowing your mind to whizz through thoughts one after another can be another route into the dream state. What’s important here is that you don’t allow the mind to dwell on any one thought for too long; instead, you let it jump from one to another in quick succession. This technique does require practice and some effort to get the ball rolling, but it mimics the way that a dreaming mind works and thus can be an extremely effective aid to sleep. Ok, so you can’t actually forget to breathe, but the way that you inhale and exhale can help to put your body into the correct state for sleep to begin. While there are some very specific breathing routines touted on the internet, such as the 4-7-8 Breath, most people just need to follow their own routine based upon a deep in-breath, holding it for a period, before slowly exhaling until your lungs are empty. While counting each step can be helpful, you do run the risk of getting too caught up in perfecting the timings instead of actually relaxing – which is what this type of mindful breathing is all about. It’s best to just follow your own, natural pattern which will often mean a gradual lengthening of each in and out breath as your heart slows and your body relaxes. If the above methods aren’t helping your mind to slow down and relax, it could be worth investing in a guided meditation. Millions of people use these to unwind and relax before bed; a mixture of visualization and mindfulness help to distract your mind from all the thoughts that are preventing you from falling asleep. 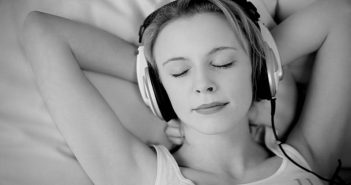 It is not uncommon for listeners to be asleep before the end of the meditation and because they can be picked up as mp3s for less than a dollar, there really is no harm in trying them. It is a totally natural thing for parents to create a routine for their children around bedtime and it has been shown to increase the quality of a child’s sleep. What’s less common, however, is for adults to have their own routine, even though the same positive impacts can be felt. Ask yourself what your normal routine is before bed – and that doesn’t include brushing your teeth or taking off your makeup. Ideally you want to start winding down at least 30 minutes before a set bedtime so that your body and mind become more relaxed. This means cutting out activities that involve significant physical or mental arousal. A small set of stretches that you go through each night can help release any tension you may have in your body while a 10 minute period of mindfulness can have a calming effect on the mind. Reading is an effective precursor to sleep for many, just make sure that it is nothing too exciting; you’ll also want to avoid reading on a backlit device or with a bright room light. Try not to watch TV or stare at a laptop or phone for the last half an hour of your day. Anything that results in a lot of light entering your eye will only serve to produce hormones that keep you awake. By sticking to a routine, you will be setting your body clock to expect sleep at a certain time and after certain activities have taken place. You should never underestimate the importance of your body clock. The food that you eat directly impacts the way your body both produces and uses the chemicals used in sleep. Without going into the science of it all, a combination of complex carbohydrates and protein is the ideal snack to have an hour or so before bed as this will provide the building blocks and impetus your body needs to generate these sleep inducing substances. A small bowl of granola with low fat milk, or a splodge of cream cheese on an oaty biscuit is perfect. Adding a handful of cashews, pumpkin seeds or sunflower seeds will give you further essential nutrients for your body to get into the right chemical balance for restful sleep. The conscious rethink: good sleep is vitally important and we shouldn’t accept anything less. While it is not always easy to achieve, persistence and practice will help you get there in the end.